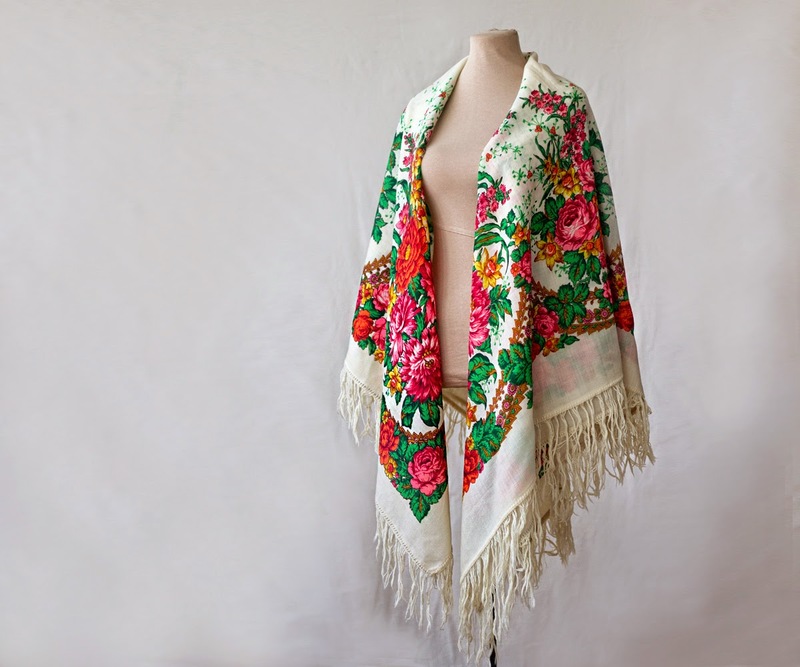 This stunning vintage Russian shawl is called Swan Lady (Lebedushka in Russian). 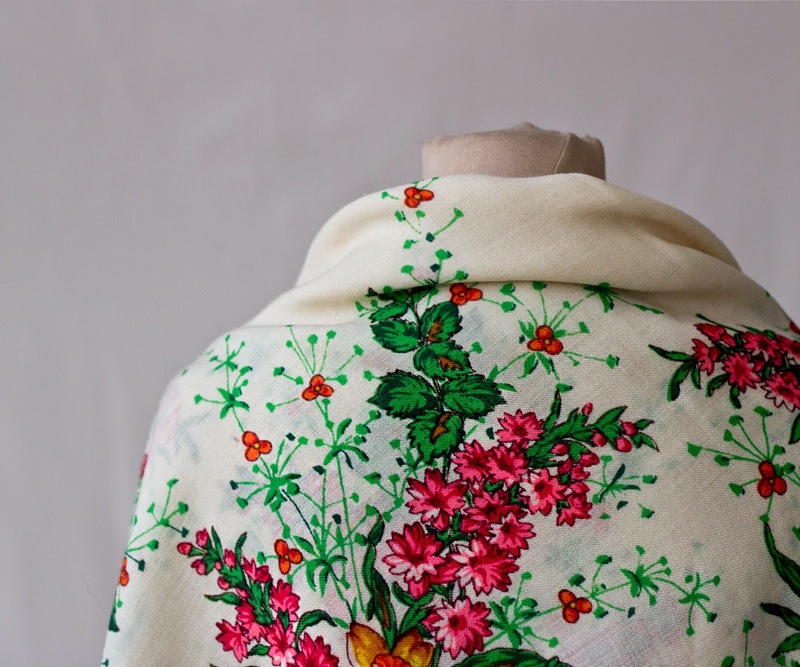 It was designed by Nadejda Slascheva, introduced in 1980 and discontinued long ago. 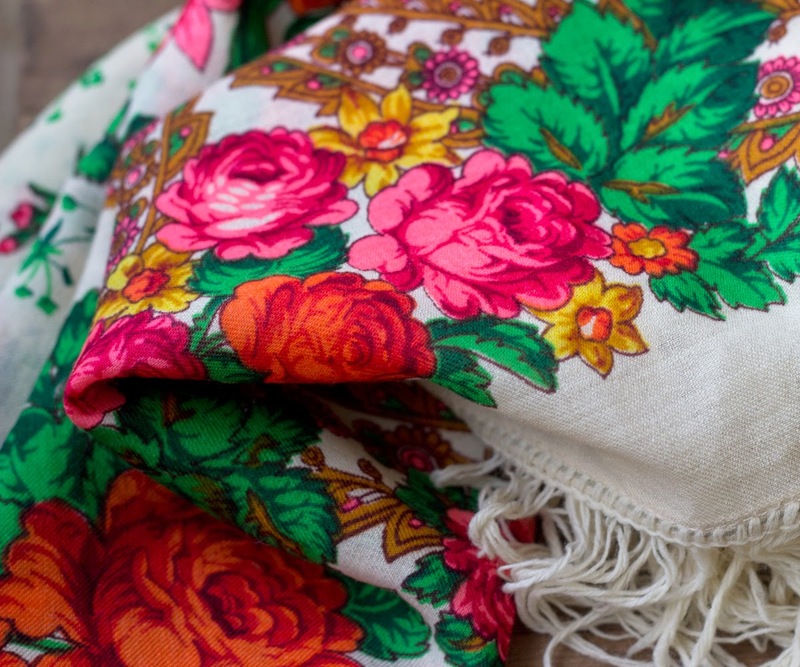 I love its brilliant colors and elegance of design; what can be more lovely than those daffodils mixed with roses and field flowers? I do not have it for sale any more; it has just been purchased and will leave for the US this weekend. But I want to share the photos anyway, for anyone who shares my love for these unique pieces of art. 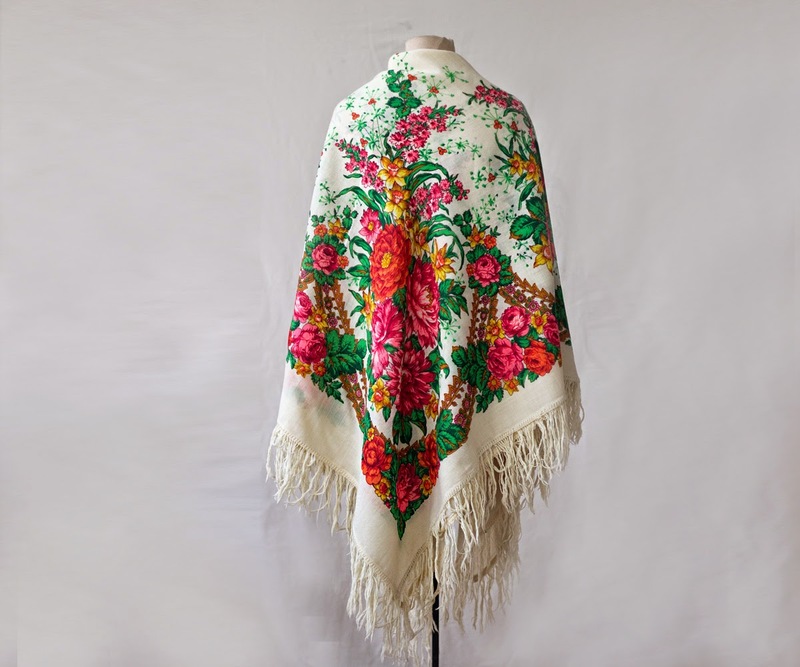 We have other vintage Russian shawls and scarves in our Mulberry Whisper shop on Etsy; some of them are rare and highly sought after. 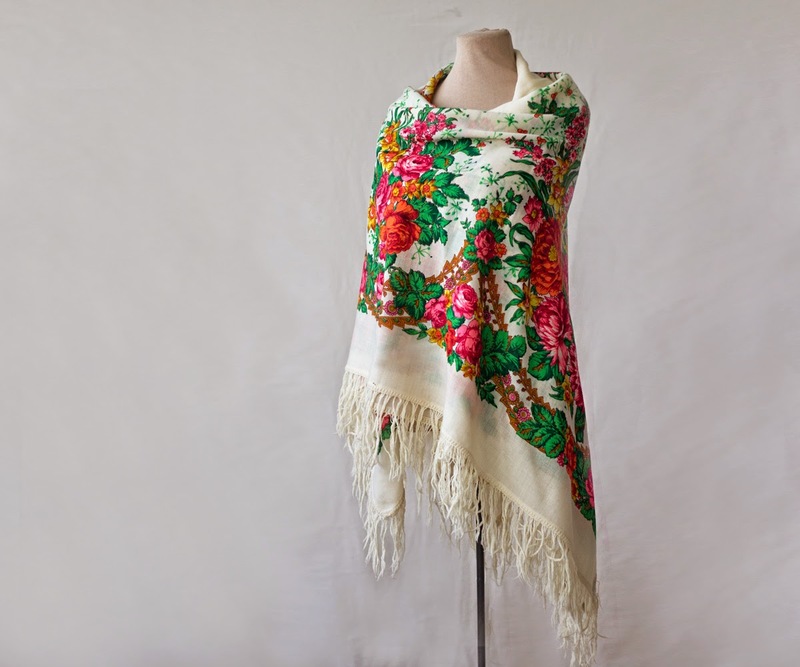 We also have vintage cotton Russian shawls which are extremely rare.